This video is from a year or two ago when I caught the tailend of a fire festival out near Odawara an hour or so to the southwest of Tokyo. Buddhist Priests dressed as Yamabushi - mountain hermits - walked over hot coals. Later, participants were allowed to do the same so I kicked off my shoes, waited in the freezing dirt till I got my chance to walk over by-then-not-so-hot coals. 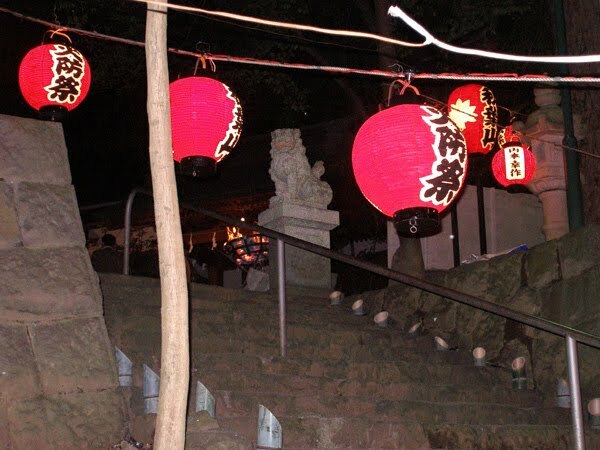 The festival is called Akibasan Gongen Hibuse Matsuri and it's held in mid-December at Ryokaku-in Temple. This footage was taken slightly in slo-mo (hence the out-of-focus look) of a torch dance at the fire festival. It's accompanied by a rather catchy Buddhist chant.